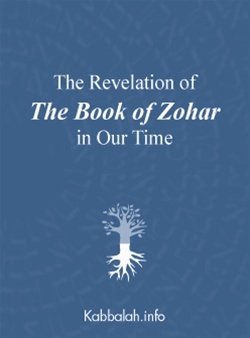 The Revelation of The Book of Zohar in Our Time aims to help guide a person's approach toward studying The Zohar in order to reap the most benefit from its reading. The Zohar is studied with the "heart," that is, through your desire. Rather than mental processing of data, we have to develop a different approach: finding what needs to be tuned within us so as to perceive the hidden layer of reality.